I was so excited about going back to New Zealand. 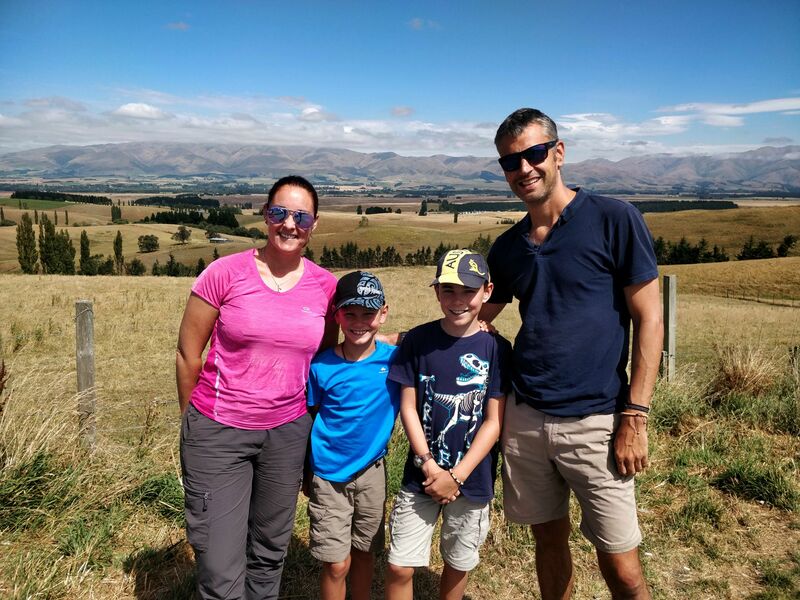 Having travelled to New Zealand pre-kids and during Autumn we were keen to experience the Kiwi Life in warmer climates. But as we are doing this as part of our world adventure, we had to keep the timeframe short due to costs. However, if you get the chance to extend it by a couple of days it would make your visit more enjoyable. 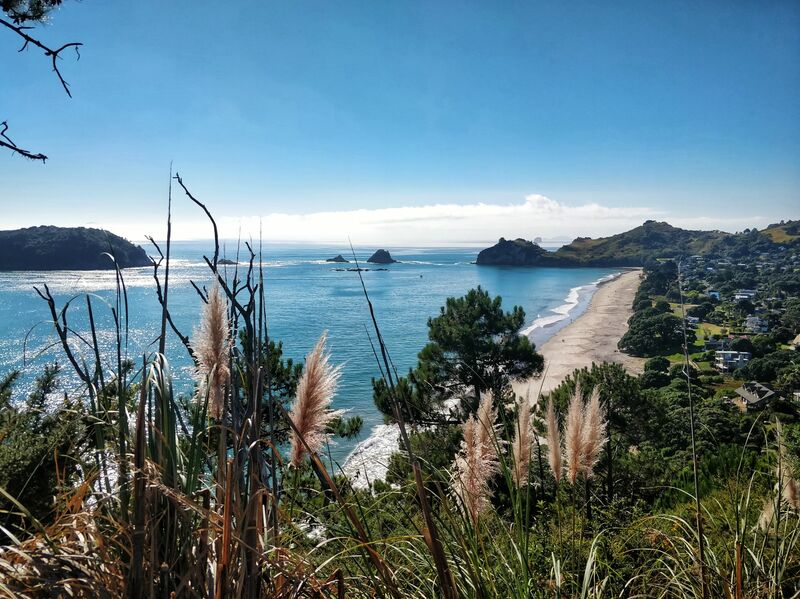 Unfortunately we’re on a budget, so we only had a short amount of time – here’s our 8 day North Island itinerary in New Zealand. 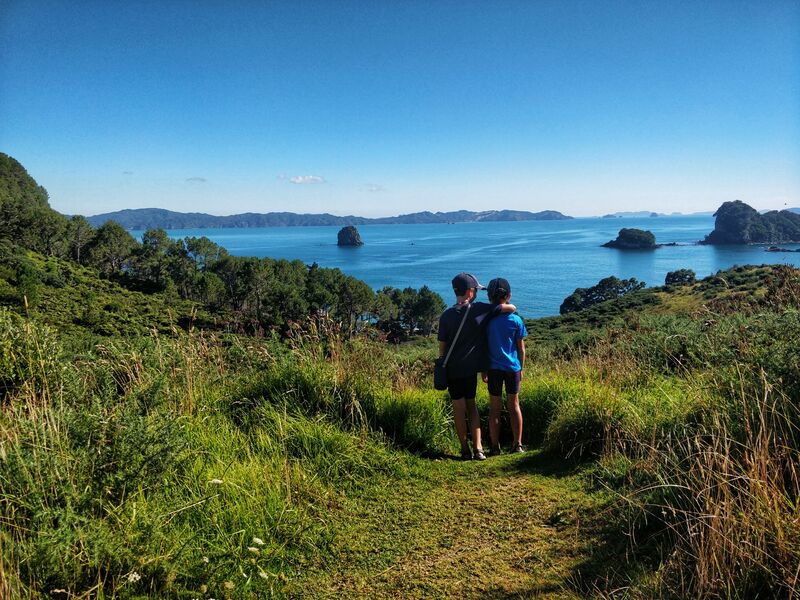 Firstly, we’ve decided (regrettably) to miss the Bay of Islands this time. Namely, because it takes too long to drive up and back again! We’ve also decided to restrict our travels to the eastern side of North Island. 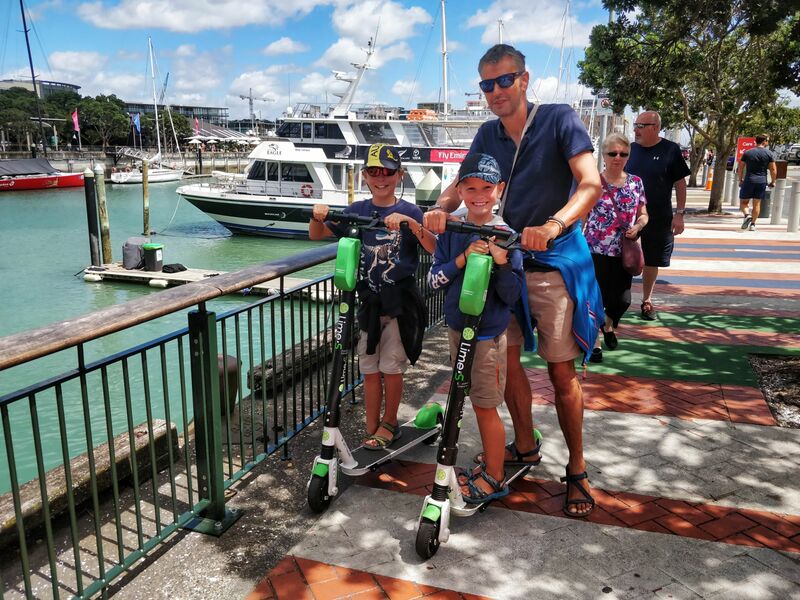 The only way to see the best that new Zealand has to offer is to have your own wheels. 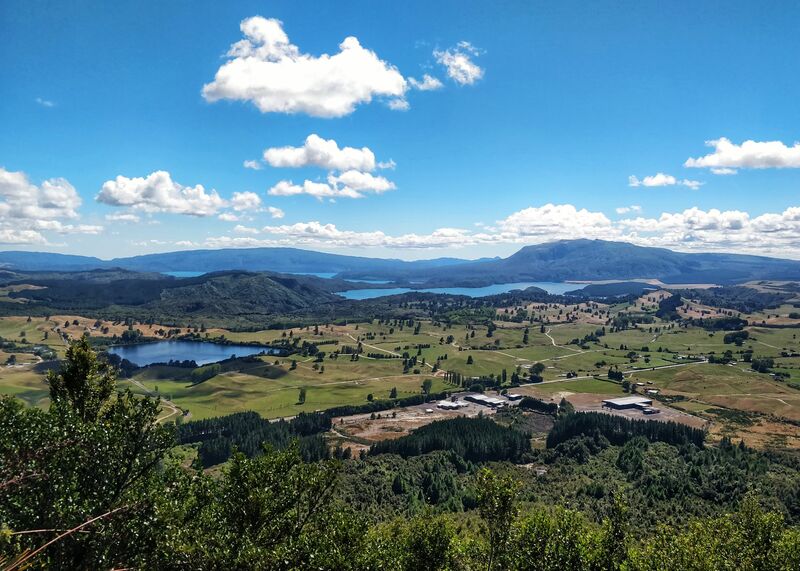 New Zealand has lots of nooks and crannies and as such getting off the beaten track and just pulling into a national park or viewpoint is part of the joy. Therefore, we decided to hire a car with Ezicar. When we arrived we found we had been upgraded to a Rav4 2WD with plenty of space – actually quite a nice car. The cost of hire car for these 8 days was NZ$380. See below why we chose a car and not a motorhome. But that’s not the end of our journey. Check out our 16-day South Island itinerary in New Zealand – coming soon!! This is a discussion I see listed often! Yes, New Zealand is renowned for motorhomes and campsites. But is it worth the cost?? 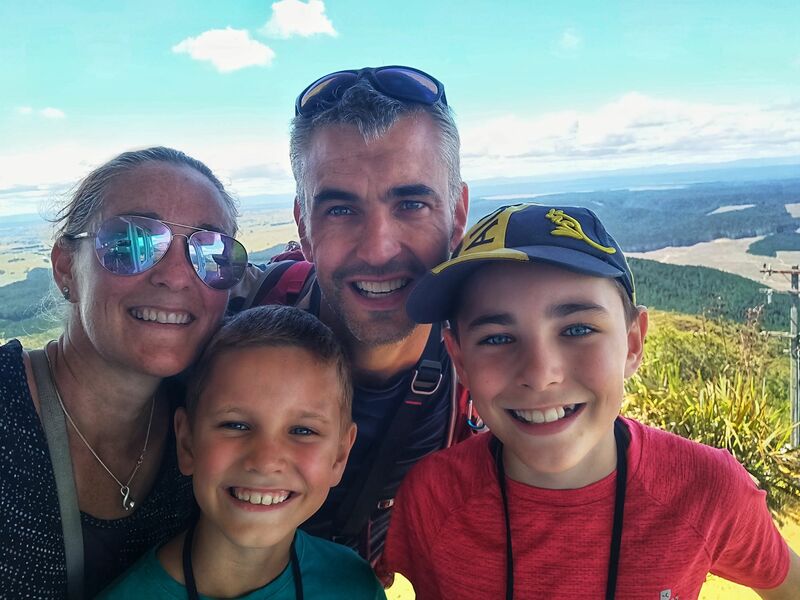 After extensive investigation, we decided that for a family of 4 it was cheaper for us to rent a car (Auckland to Auckland), fly to Christchurch, rent another car (Christchurch to Christchurch). Now, we obviously didn’t book until nearer to the time – when our arrivals dates were confirmed and also, we have chosen the summer (most expensive) season to arrive. But baring these 2 elements, we still felt that motorhoming was far more expensive than we had anticipated. To be fair, pretty much everything in New Zealand was much more expensive than we realised. We need to make sure we had our ‘budget’ heads on for this trip. So, we checked all the costs and a 4 berth campervan was very expensive! Add to that the petrol costs ($1.90 to $2.20 per litre) & campsites (even though there are supposed to be quite a few free camping spots). 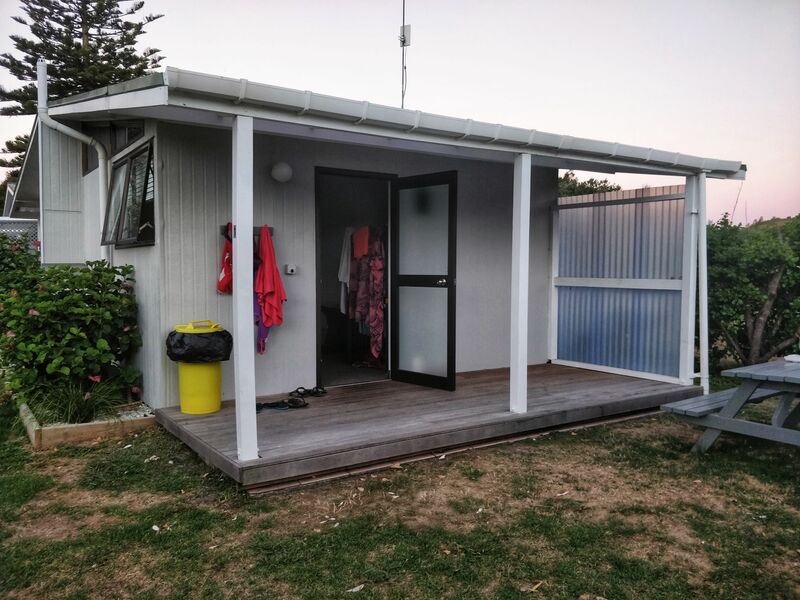 We decided it would be better to just hire a car and then book basic accommodation (with shared facilities) on campsites (ave NZ$140 per night). One of our key criteria for accommodation was to have places where we could cook our own food, to keep the costs down. Note: download an app – I used Gaspy – to check the current petrol prices to save money! This was our longest drive on the northern circuit. It’s a belt of green and rolling hills all around as well as plantations and farmlands. But, it’s not difficult to drive in New Zealand and with so few roads there’s not much chance to get lost either. En route to Lake Taupo we decided to stop at Huka falls (on the outskirts of Lake Taupo town). There are lots of walks around the area. However, as we arrived just afternoon lunchtime we just took the very easy 5 minute stroll from the car park as the kids were getting hungry. Soon after, we popped over to the Crater of the Moon site to see our first Geothermal activity. p.s. if you enjoy mountain biking there’s lots of trails around here! We then drove onto our first accommodation, which was a hotel/homestay at Tonys. We were greeted by a very kind and jovial gentleman, named Tony! No suprise there. He was very chatty and welcoming and we had a nice 4-bed room and included a plentiful breakfast. 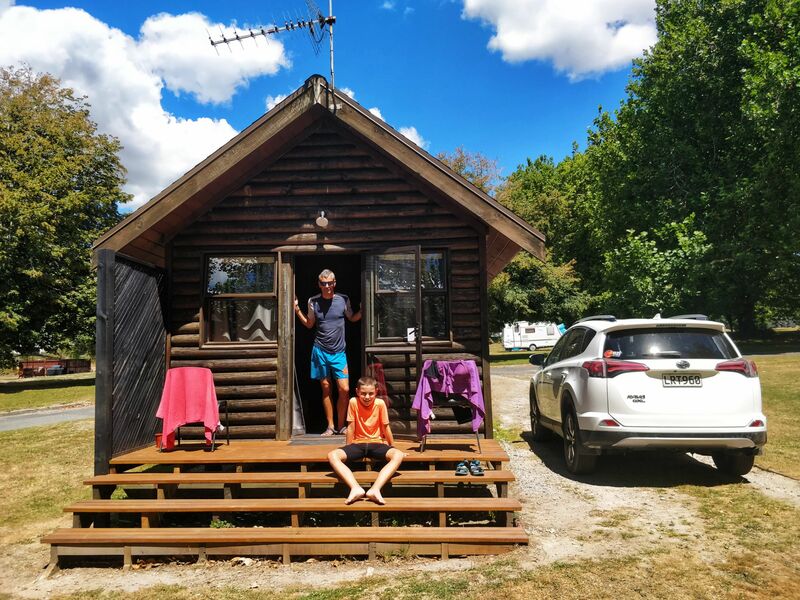 The accomodation was situated along the lake and closer to the Tongariro National Park. Plus it was a 2 minute walk down to a private beach on the lake. 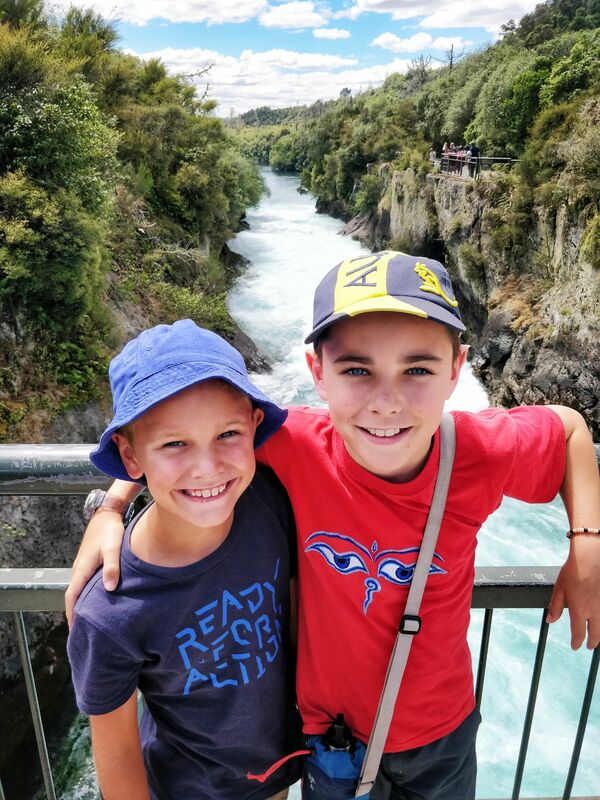 Huka Falls (Free) – as we got a late start (following a late arrival from Sydney) it took us a while to get going. 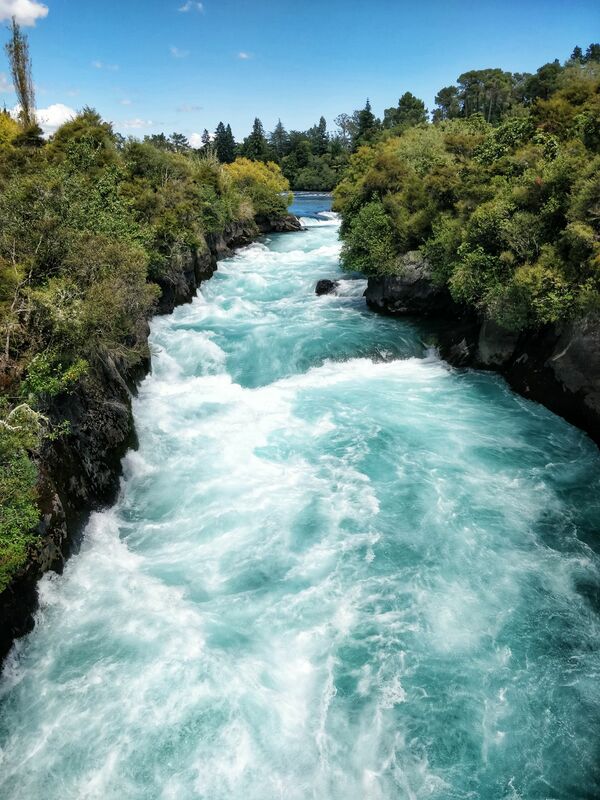 Therefore, we arrived at Huka falls later than we would have liked. This meant instead of wandering around the National Park area we only had time to park and walk 5 minutes to the viewing area. It was a thunderous noise and a stunningly beautiful colour but we would have liked to have explored a little more. When you reach the view point you can’t help but gaze at the rumbling waterfall that turns a spectacular greeney blue colour and the volume would fill an Olympic swimming pool every 12 seconds! It’s a thunderous noise and very impressive. After a brief stop we headed off to enjoy a nice lunch – I mean it was my birthday!! 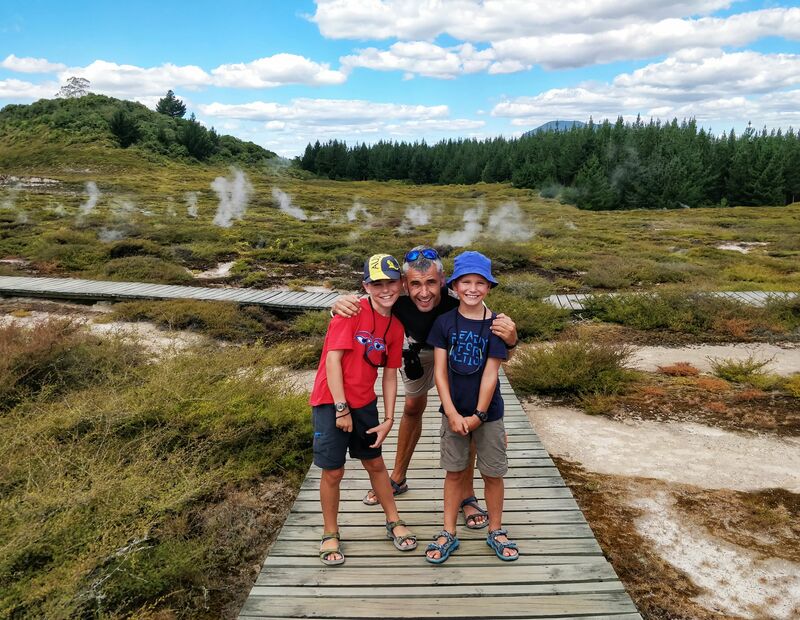 Craters of the moon (NZ$20 family of 4 – 2 adults and 4 children) – after lunch we decided to explore this small park to check out our first Geothermal activity. It was a reasonable price but the site was nothing spectacular. 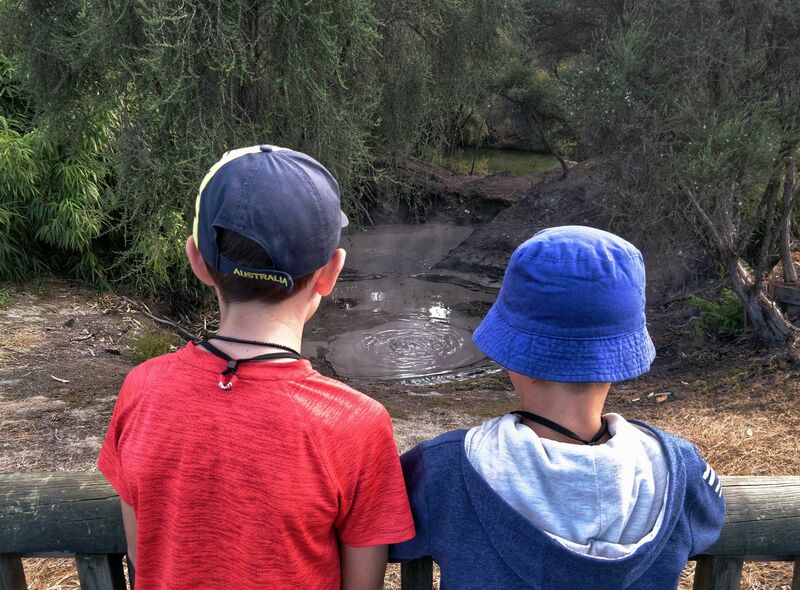 But for the boys first experience of the smells and sights of geothermal activity, it was o.k. for us. The area wasn’t too busy so we were able to explore with hardly anyone else around. Due to the drought in the area the mud pools were not wet enough and so that was a bit of a shame. 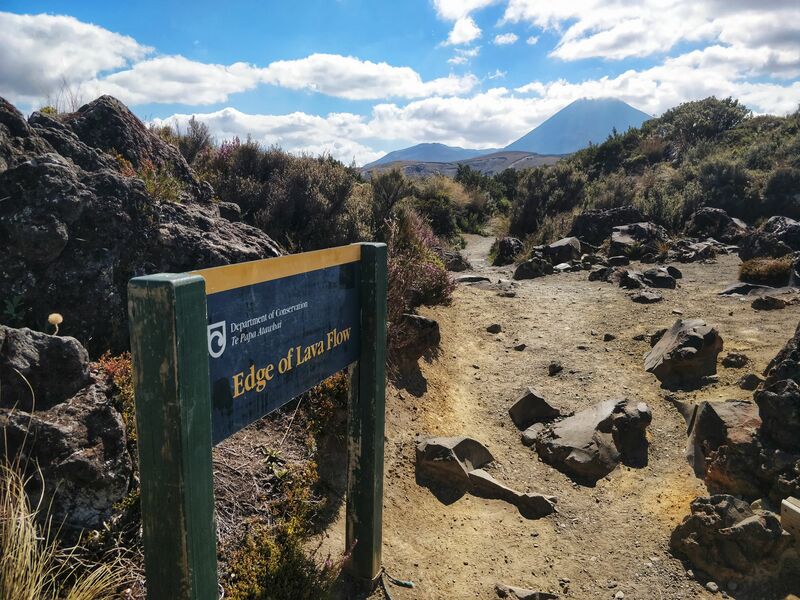 Tongariro National Park – lots of walks, take a look at their visitor centre for more information. (Free). 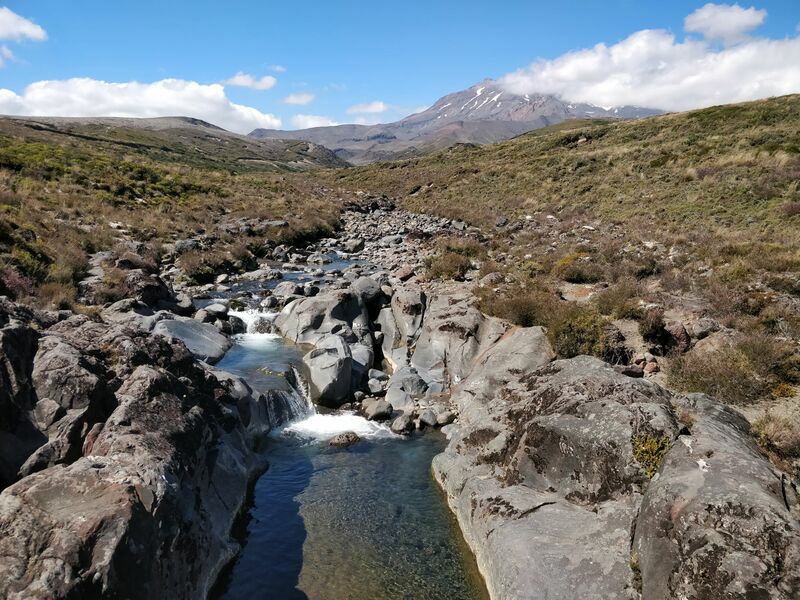 While in the area we were hoping to try and complete the 7-8 hour Tongariro crossing hike. 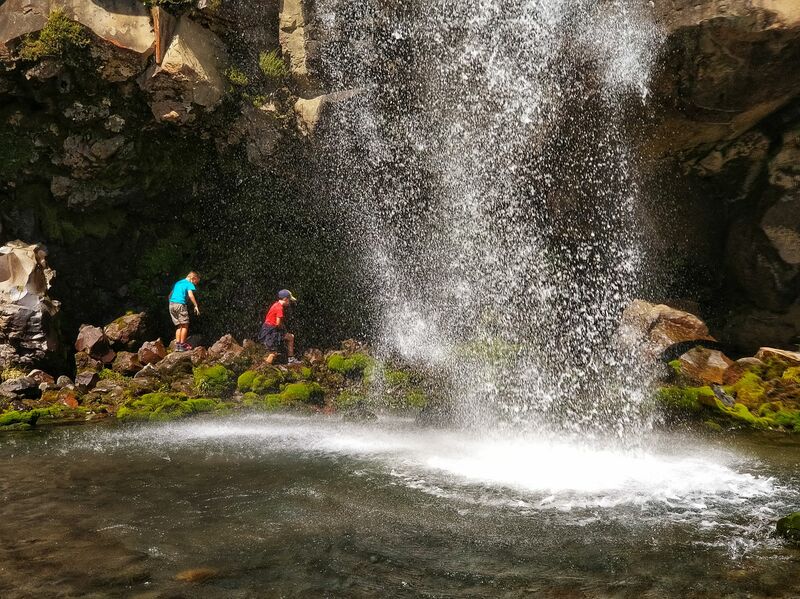 But after much research we decided the 19km hike would be a stretch too far for the boys – especially as we were all still tired from our late arrival in NZ. 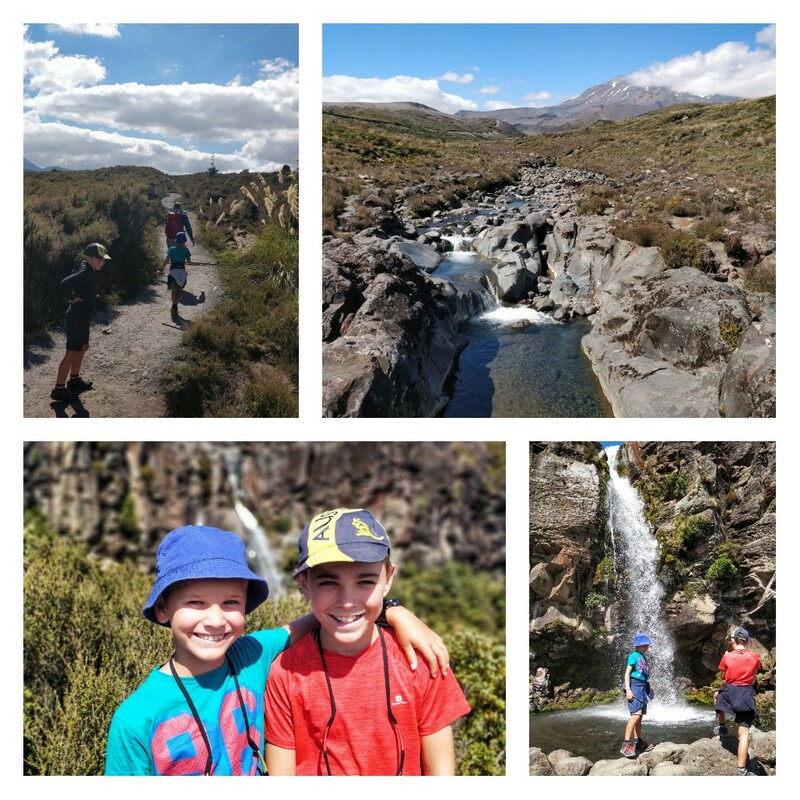 Instead we opted to do the Taranaki Falls walk (2 hour loop) which was an easy and sedate walk with amazing views towards Mount Ruapehu and Mount Mgauruhoe. 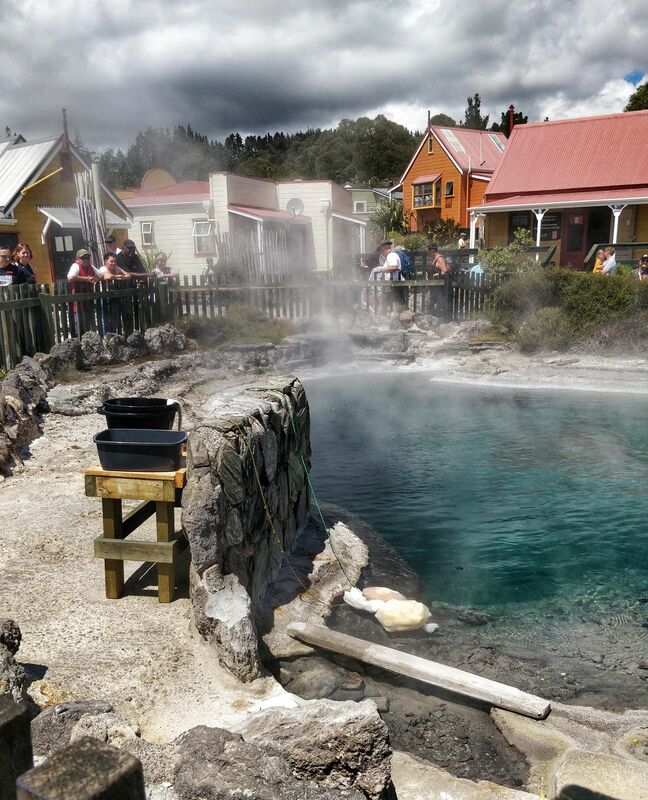 Taupo Hot Springs – A great way to spend a chilly afternoon to relax in one of the thermal hot pools around the area! Supposed to be good for those niggly aches and pains. White water Rafting – to be fair this is an activity you can do all over New Zealand. You just need to research the best place for you. 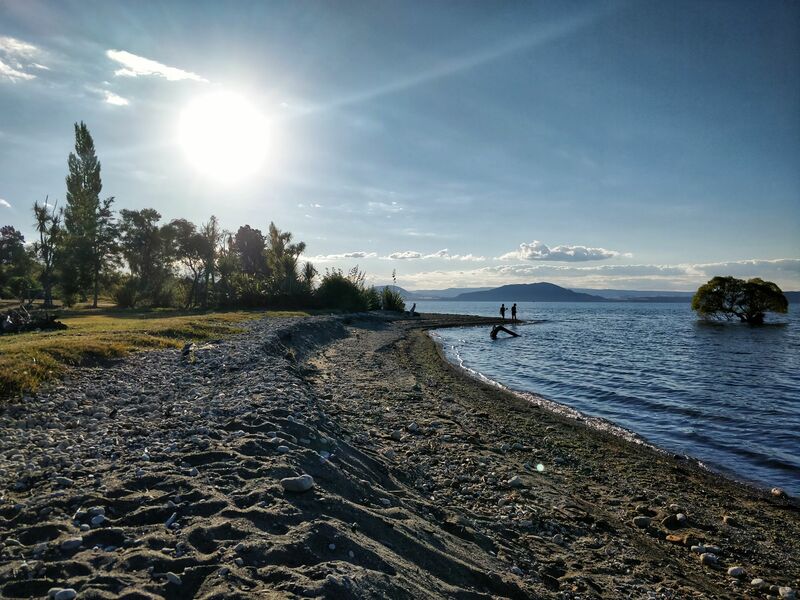 Visit lake Taupo – can you believe we didn’t even have time for this. A brief visit to the large near our accommodation was all we managed! But if you get the chance the town is lovely and there are nice walks along the lake. 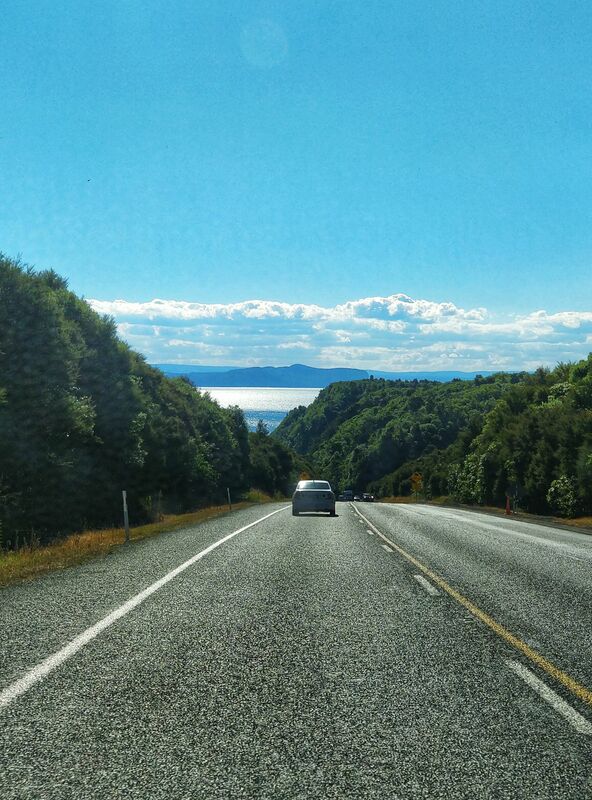 The route between Lake Taupo and Rotorua is known as the Geothermal highway. There are quite a few stops along this road, with the most popular being the Lady Knox Geyer and Geothermal wonderland. However, when we investigated we found the price to be too expensive. 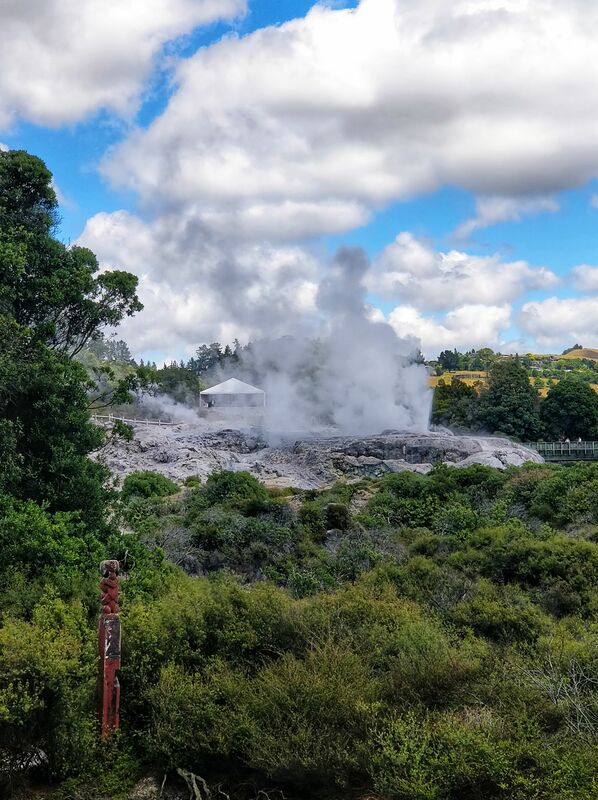 If you are desperate to see a geyser then you can also see one at either the Maori villages (Whakarewarewa or Te Pai). 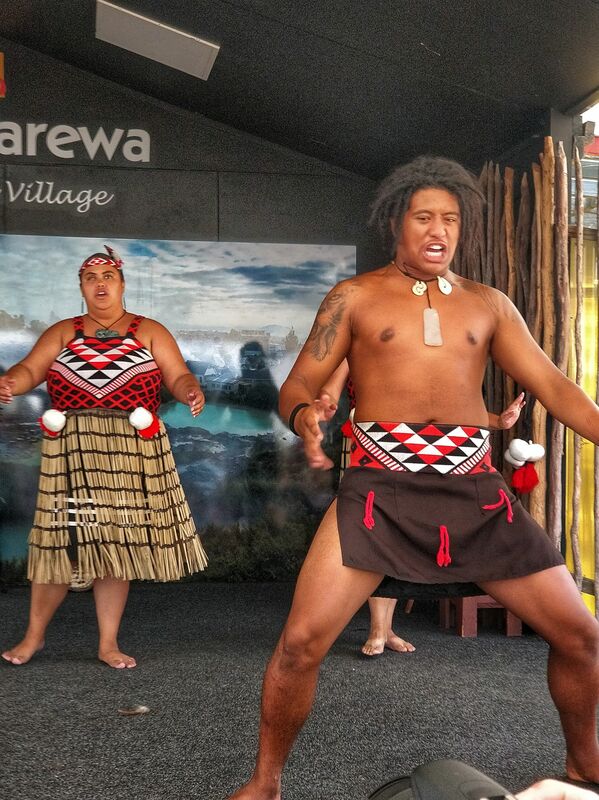 We visited the Maori living village experience. It was very informative and was probably our first your. It’s not something we tend to do. But we felt that learning about the Maori culture was an important lesson for the boys. We used a discount voucher and got a tour for NZ$100 which included a tour and show at the end. 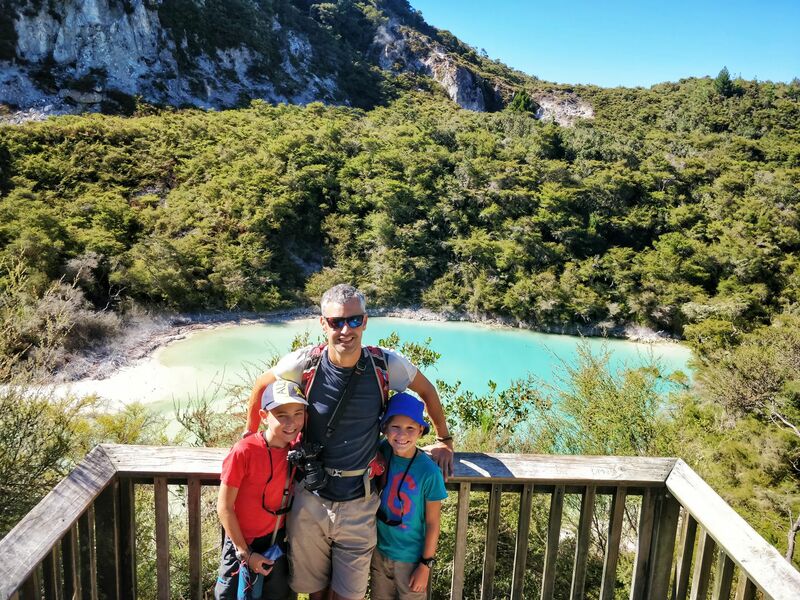 Rainbow Mountain walk – We knew we wanted to see some thermal activity so instead we opted to visit the thermal crater at Rainbow Mountain and then walk up the hill. It is a steep but worthwhile climbing, only taking around an hour on an easy path through the forest. The views at the top were splendid with a fire hut at the top, where we chatted with the duty officer about his job – very informative. After this we headed over to Kerosene Creek (only 10 minutes drive down the road – although you could walk to it!). 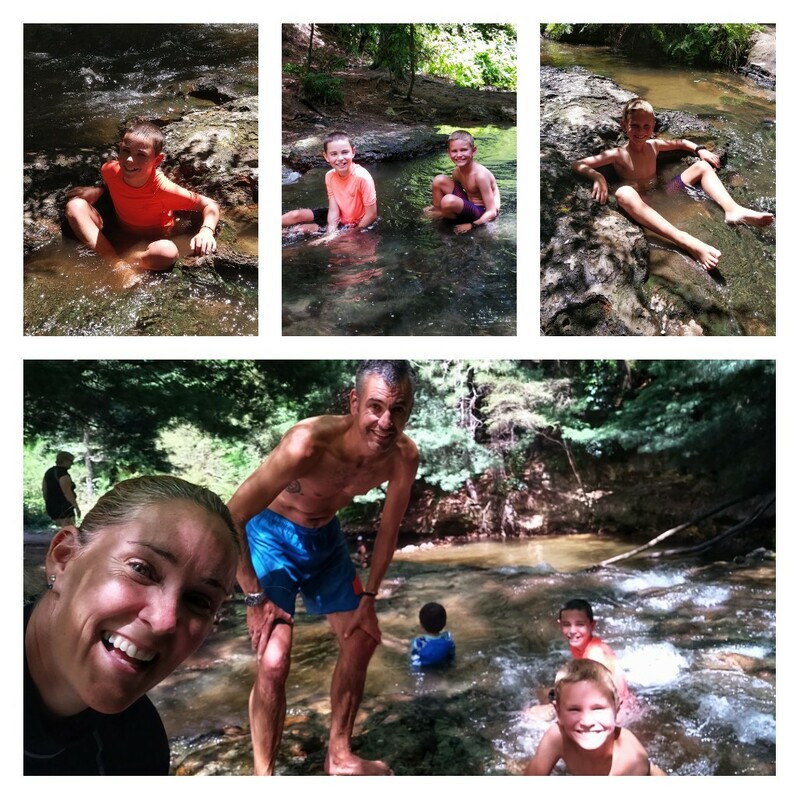 It was a fabulous (and free) natural hot pool and river. It was great to experience it in the wild. Whilst there were a few people there it wasn’t ridiculous. It was a hot day so we couldn’t spend too long in there as those springs were really hot! Great! We ticked the geothermal box and were soon on our way to Rotorua. There’s always a hub of activity around this town as there’s quite a bit to do here, but be warned the aroma can be quite overwhelming. Surprisingly during our visit it wasn’t too bad – maybe due to the drought and lack of bubbling mud pools?! 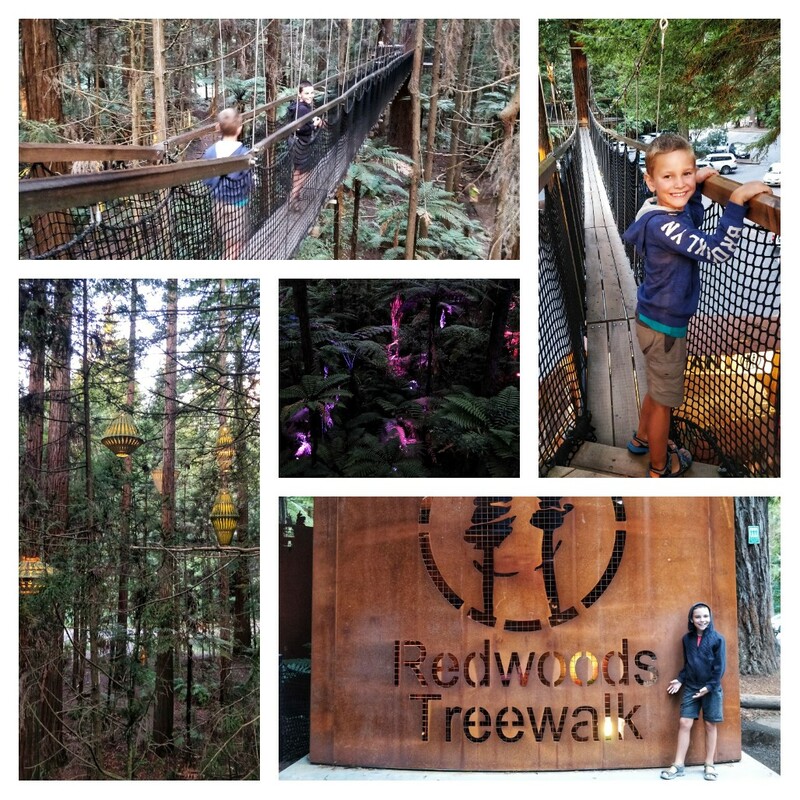 Redwood Forest treetop walk ($80 per family) – at the request of Ethan we visited the redwood forest. Within the park area there is a treetop walk. We went specifically to see the forest lit up as you walked along the suspension bridges between the trees. Unfortunately this was a little more underwhelming than we were anticipating. It was a series of platforms with suspension bridges in between and whilst it was an impressive set up when the evening sky did darken the lights were not that illuminating. 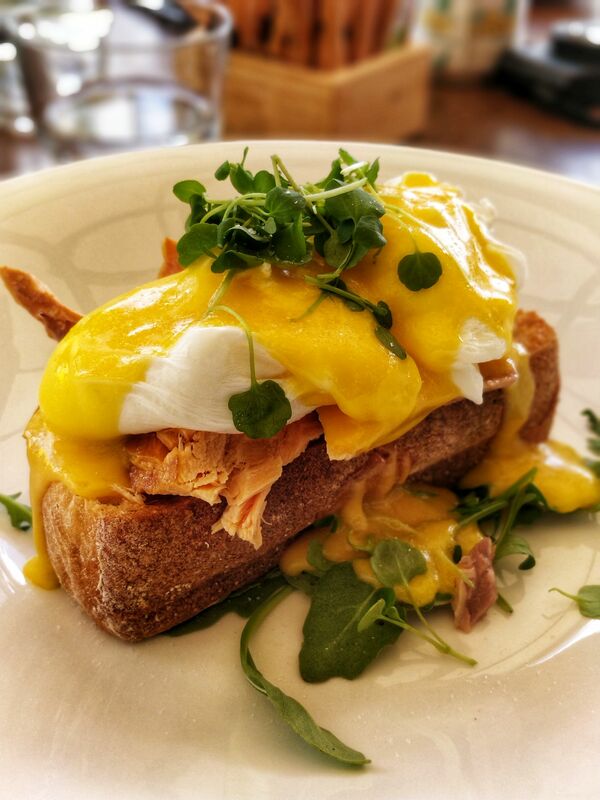 Still, it was a new experience for us – but at NZ$80 per family it was a little steep. 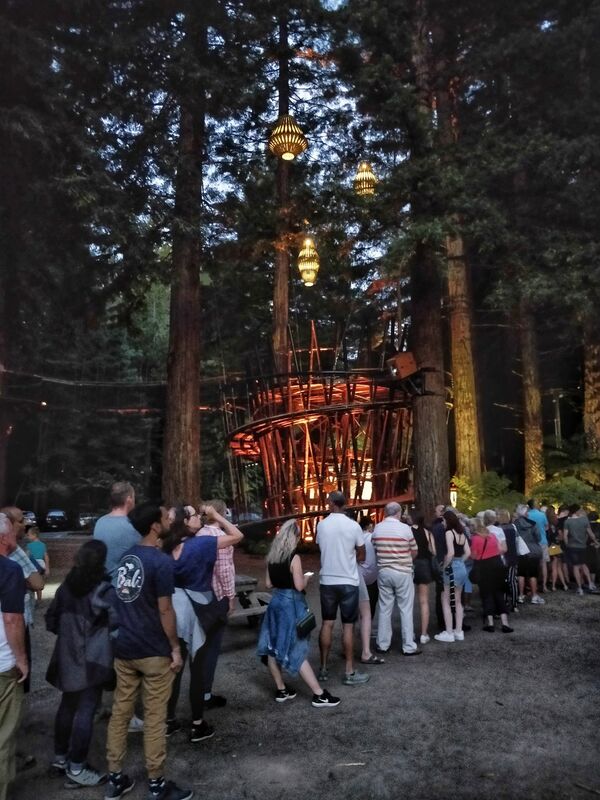 As an alternative you can walk (or bike) through the Redwood Forest and see the lights for free. 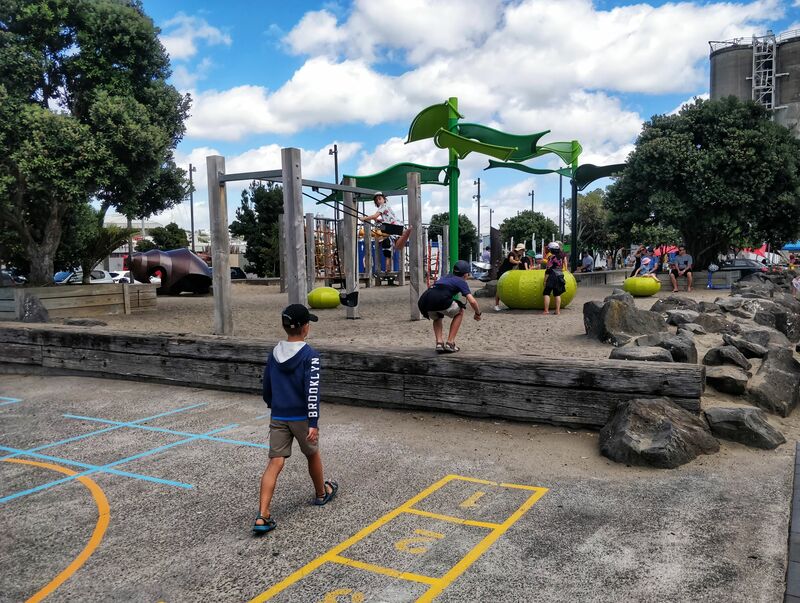 Kuirau Park (FREE) – a brilliant and well laid out thermal park with lots of lakes and mud pools for you to see for free. 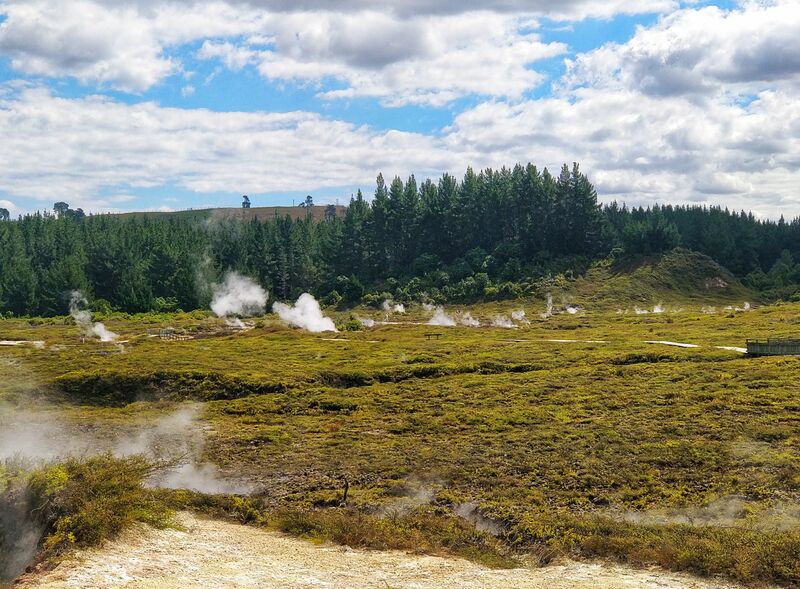 Wander at your own pace through the park and enjoy the thermal activity all around. The pools are cordoned off so there is also lots of space for the kids to roam and run around. There is also a pool for you to dip your feet into. 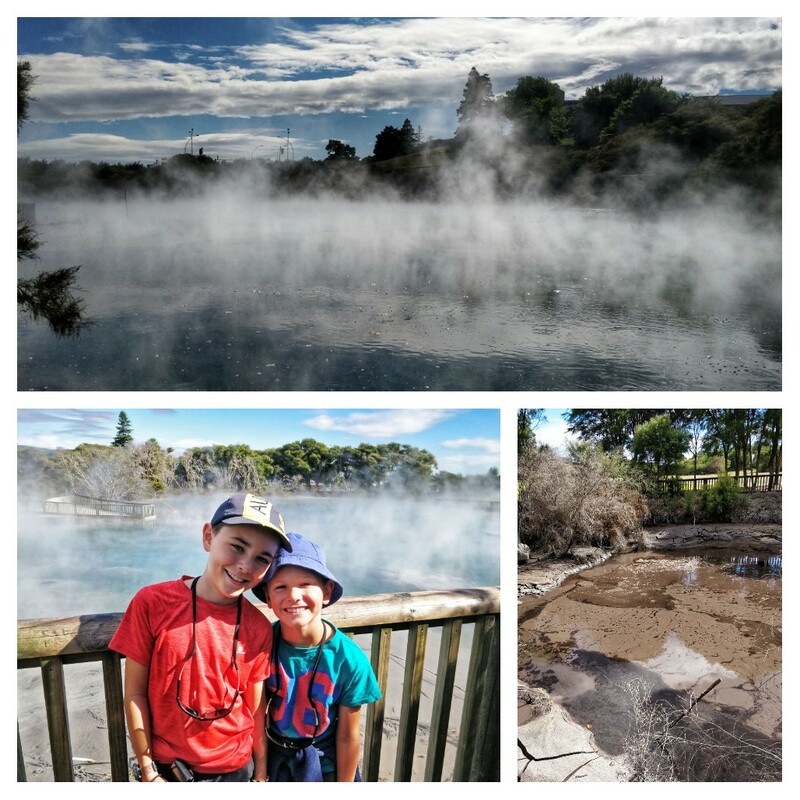 Wai-o-tapu (NZ$85 for 2 adults and 2 children) to see the Lady Knox Geyser & Geothermal wonderland – note the geyser always goes off at 10.15am each day. 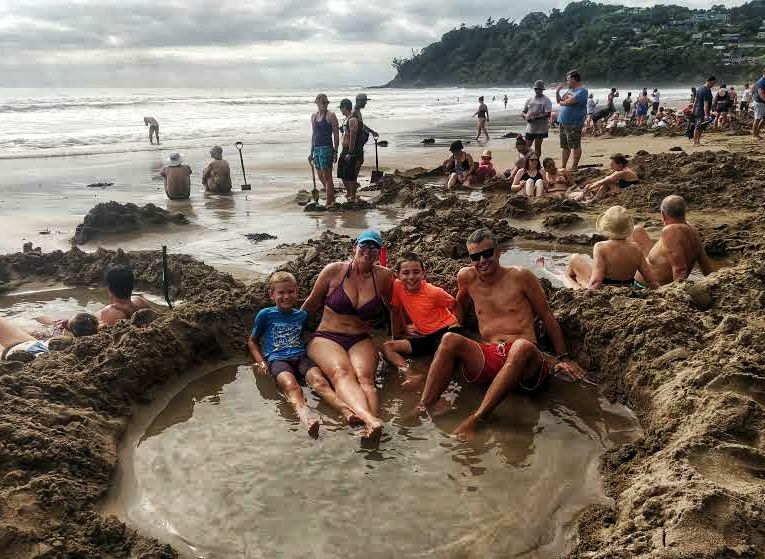 Waikite Valley Thermal Pools – lots of pools for you to sit and soak in and costs around NZ$18 for adults and NZ$10 per child. Te Puia – we visited Whakarewarewa traditional Maori village, but next door is the government (ultra posh looking, more expensive) alternative. It’s not a working village but has all the historical elements of the Maori culture, as well as shows. 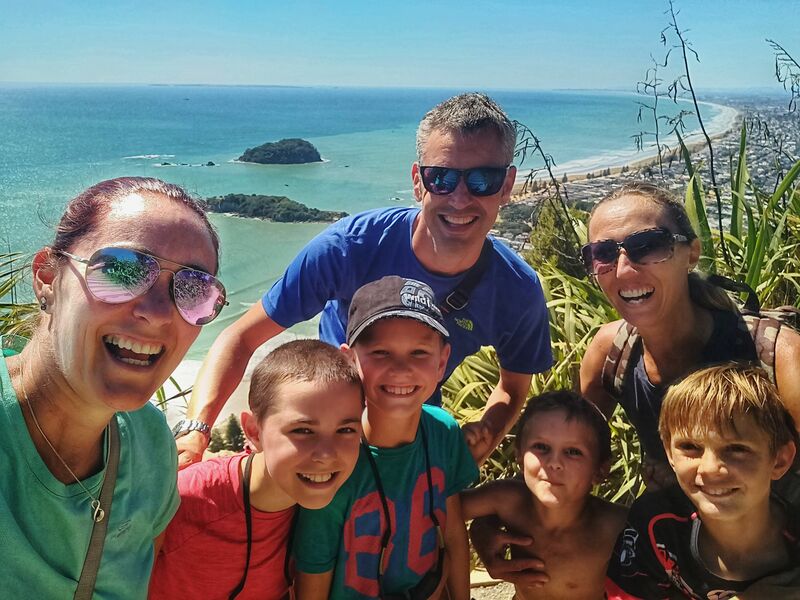 On our way through to Hahei beach we called into Tauranga to visit a family we have been following on Instagram @justsix_backpacks. They have returned home after a year travelling the world and we were excited to talk about and hear their experiences! 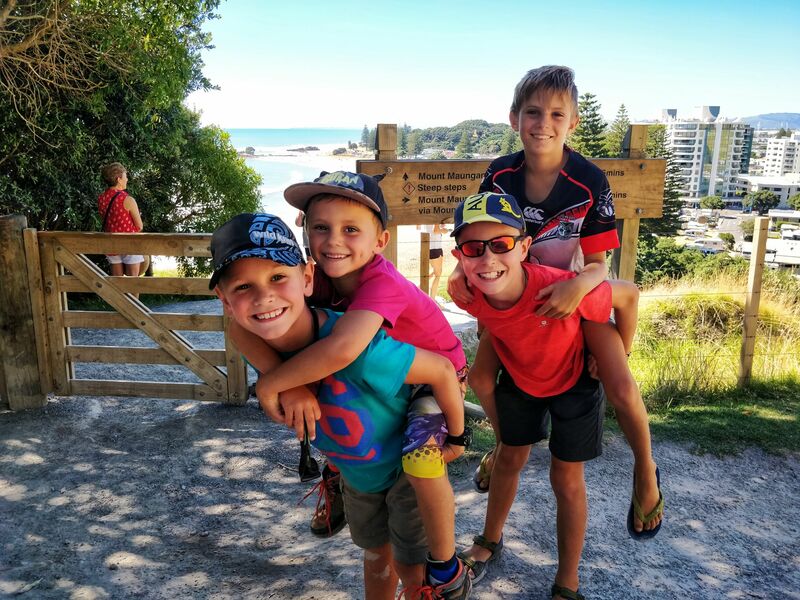 So we diverted our journey to Tauranga to walk up Mount Maunganui and play on the nearby beach with them. It was perfect and not something we would have done had Sophie not suggested it! I’m so glad she did it had a very ‘surfer dude’ feel to it; bit like Manly in Australia! 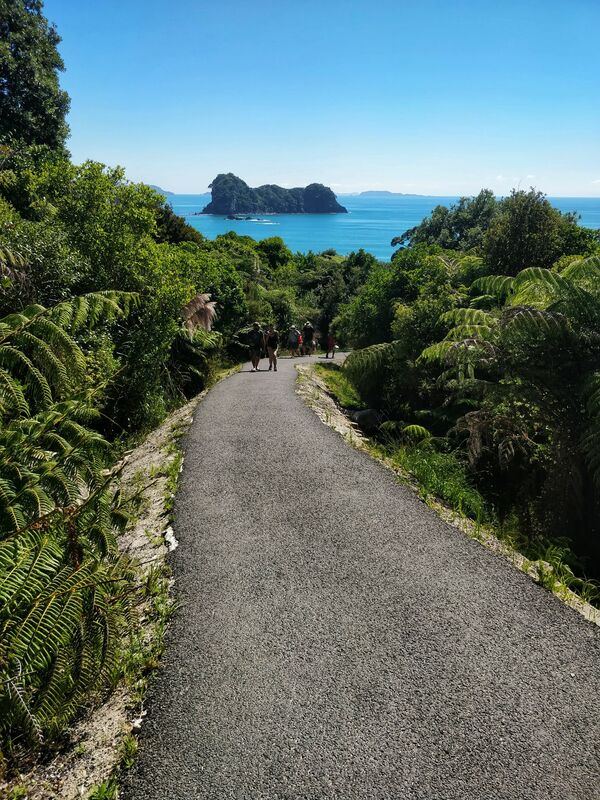 The walk up Mt Maunganui was steep but easily manageable, even in the heat. We had a fabulous chat with Sophie and the boys played so nicely together! Afterwards we welcomed a cool-off in the water! It was so lovely experiencing first hand kiwi hospitality. 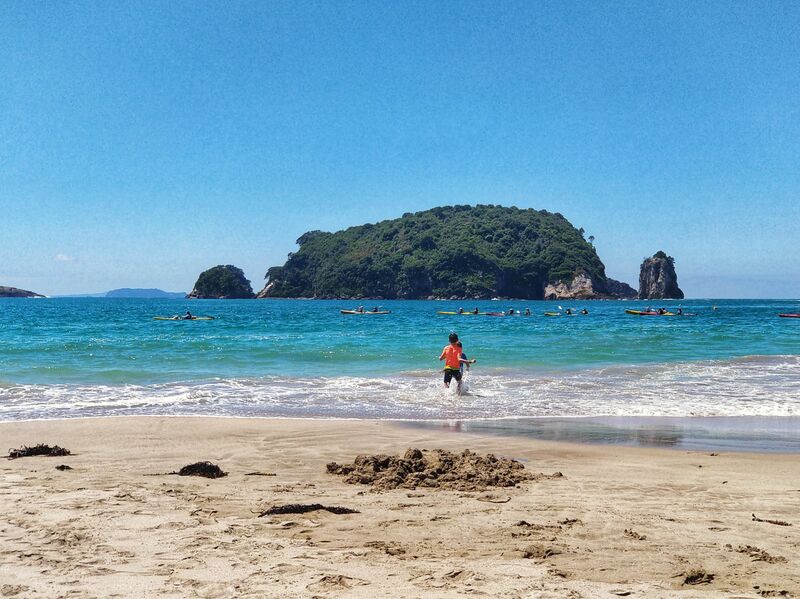 We left around 2pm to head to Hahei Beach. It was a nice drive with lots of gorgeous views through the countryside, but it does get windy at times. Once we arrived we headed straight to the beach to stretch our legs and WOW! It was just a peace of paradise. The waters were crystal clear and there were small islands providing a fantastic viewpoint. The boys just jumped straight in! 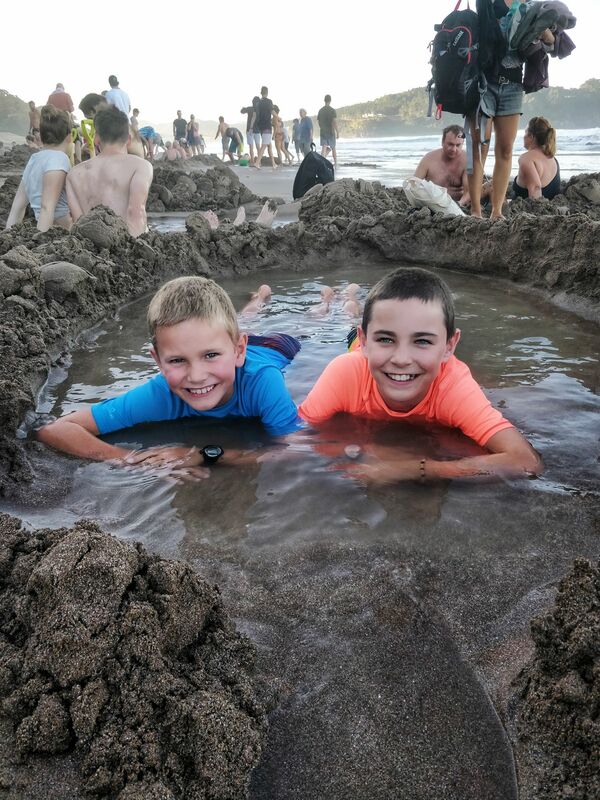 We specifically picked (And paid slightly more) for this area in order that we could visit more local hot springs at Hot Water Beach, which the boys loved, and also to walk from Hahei to Cathedral Cove. We thoroughly enjoyed both activities and the area was a nice relaxing break from the busy few days we’d had. 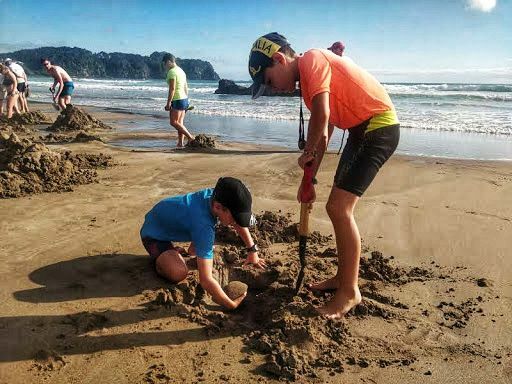 Hot water beach (NZ$5 for a spade or free if you have your own) – just a short 10 minute drive down the road to Hot Water Beach. 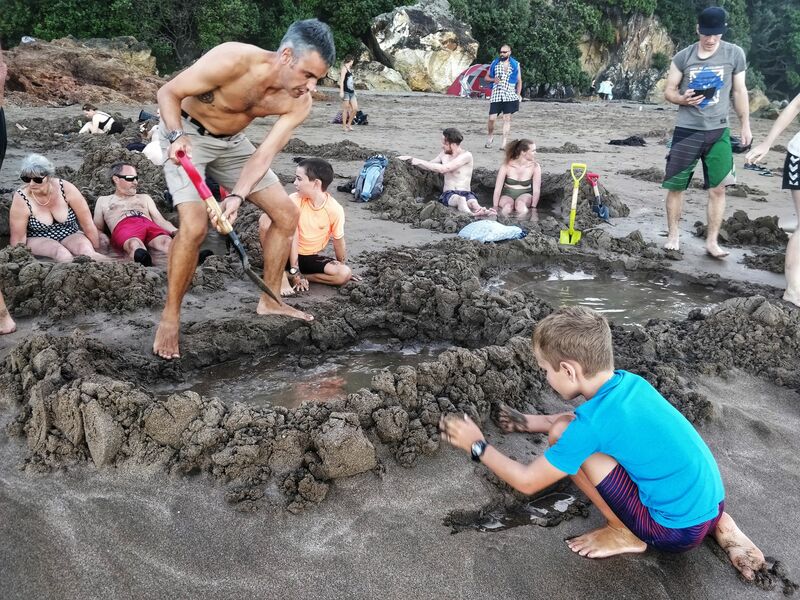 A natural phenomenon where you dig the sand and find hot water. Now sometimes its boiling hot water and sometimes its freezing cold, it’s all about finding the balance! Which we didn’t do on our first visit but did on our second. The recommended time to visit is 2 hours each side of low tide. So we, and about 100 other people, decending on the beach at this time. However, when we arrived in the morning most people had already dug their own pool of happiness and were lazing about in the warmth. To be honest we tried to dig a few places but just found boiling hot water that would burn your feet. So instead we loitered around looking sad until someone decided they’d boiled enough and we jumped into their hot pool. However, the boys were deeply disappointed in us and demanded that we return that evening to dig their own pool – which we did!! Cathedral Cove (Free) – the walk took an hour over the headlands before heading downwards to Cathedral cove. It’s a very busy path and most people tend to take the shuttle to the nearby parking area before walking down the hill to the cove. It can be quite a tough climb, especially for little ones. Also, there were no water stations along the route so take plenty of water. It was quite hilly in some areas and as it was a hot day we were running low on water supplies! The views along the route itself were spectacular. The walk was well worth it as Cathederal cove was beautiful and we loved the small beach and archway. It was a really lovely area to relax in and we all enjoyed our swim in the clear, blue waters. 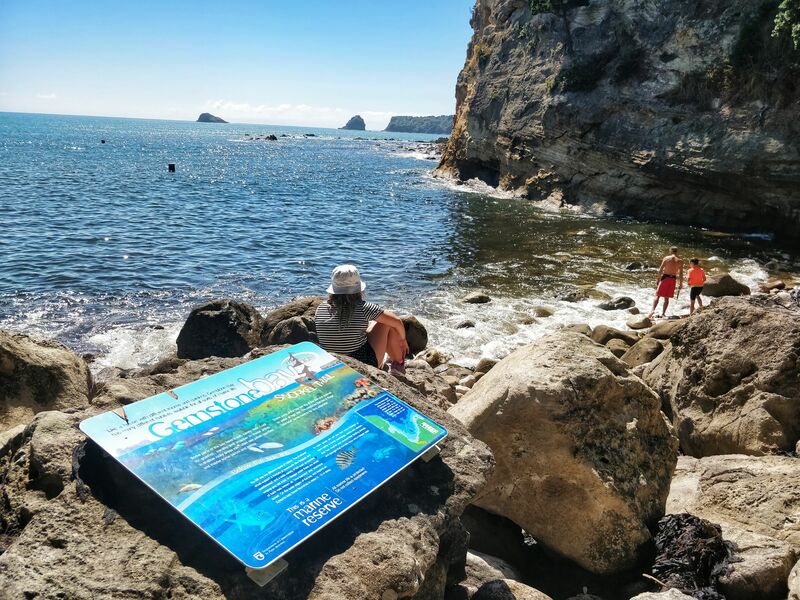 As it was starting to get busy just before lunch we decided to head to Gemstone bay on the way back where we could have a picnic and enjoy a snorkel along the dedicated ‘snorkel trail’. However, maybe we should have researched this a little more as the beach was little more than boulders and with no-where to set up for a picnic. 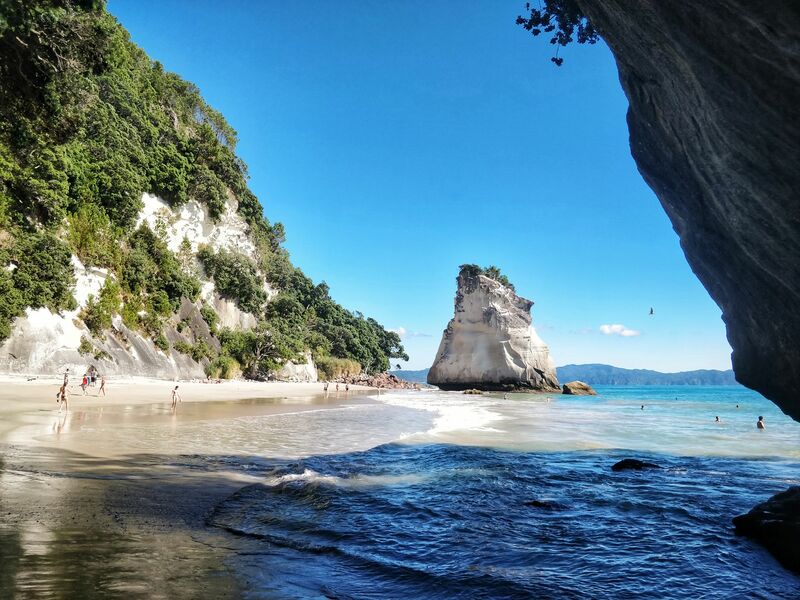 Add to that the unexpected murky waters (unlike cathedral cove) – this was not what we expected. Keith had a brief swim but when we decided it wasn’t up to the mark we headed off and returned to enjoy our picnic where we started, on Hahei beach! In hindsight, we should have just stayed around Cathedral cove for longer before making our return journey. Ah well, we still enjoyed the walk and the coves along the way. It’s a great day out! 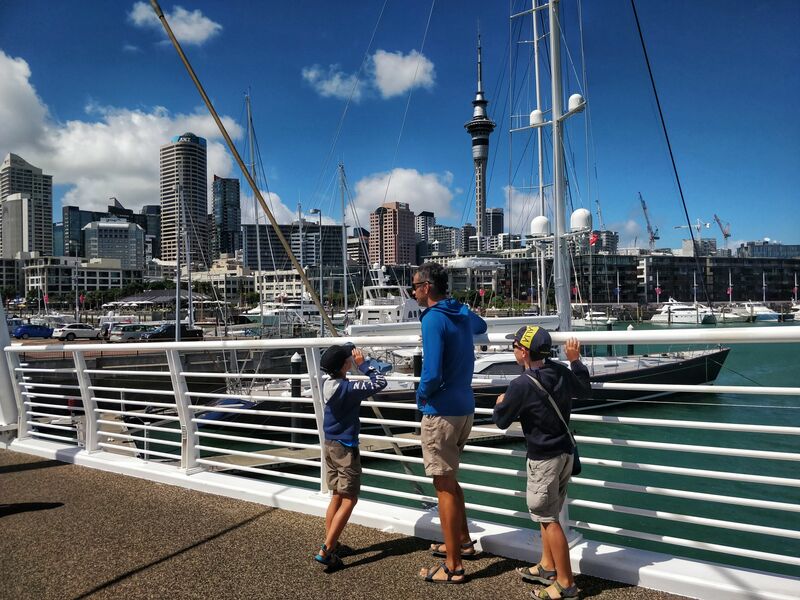 We decided to have a day in Auckland to check out the city highlights. We parked near the marina and wandered along the front checking out the boats and city views. It’s only a small city so easy to get around. The boys also had a lovely play at silo park, situated on the marina next to all the eateries. However, while there we saw lots of people zipping around on Lime Bike Electric scooters. Well… we had to give them a go! So we downloaded the app. You can hire them for NZ$1 a go and then you pay 10c per minute of riding. You have to be 18 to hire them so the boys popped onto the front and we rode along the marina into the CBD. Purely a novelty but lots of fun! The 8 days just weren’t enough to enjoy the areas. I was disappointed that we were missing out the Bay of Islands and Napier areas. I would have liked longer here, but the timeframe we had set ourselves just didn’s allow it. However, the areas that we did see were beautiful and the people were met were so warm and friendly. 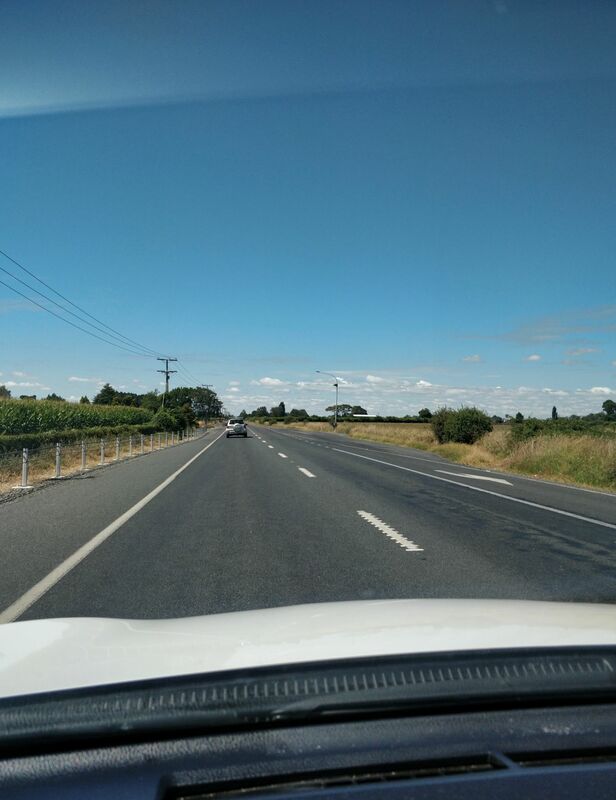 New Zealand is an easy place to drive around and we enjoyed exploring the north island. We definitely picked the right spots on such a tight timeframe and didn’t feel we were driving unnecessarily. However, if you plan to do similar its important to have your own vehicle so that you can move around freely. 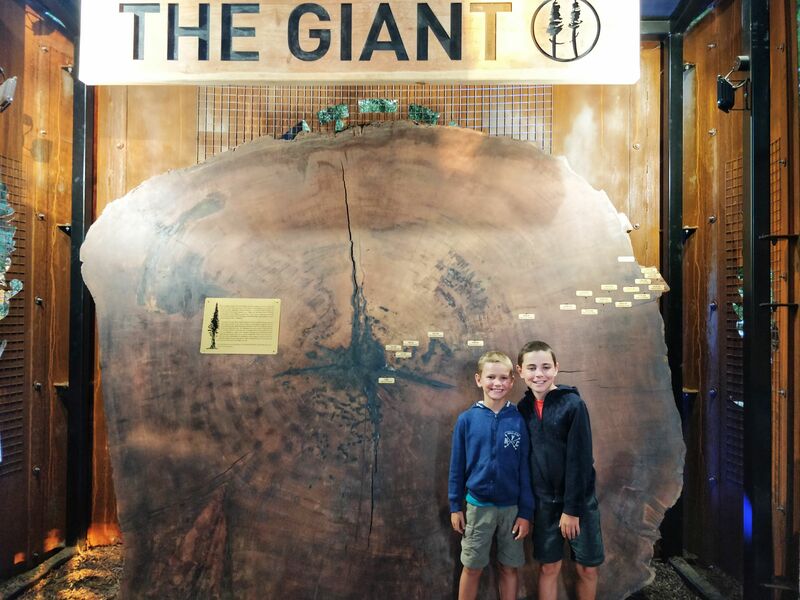 It’s a fantastic area to explore and plenty for the kids to do!